WIN a Brand New Laptop, 3 iPhone X and 5 Luxury Smart Watches in Sujimoto 1 Day Internship Event!!! 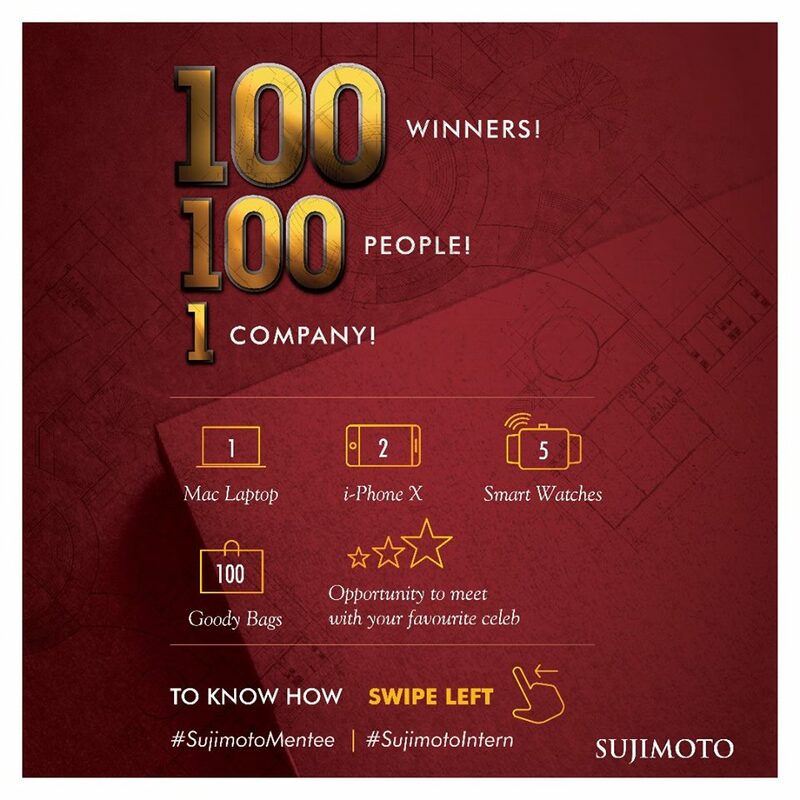 WIN 1 Brand New Laptop, 3 iPhone X and 5 Luxury Smart Watches! 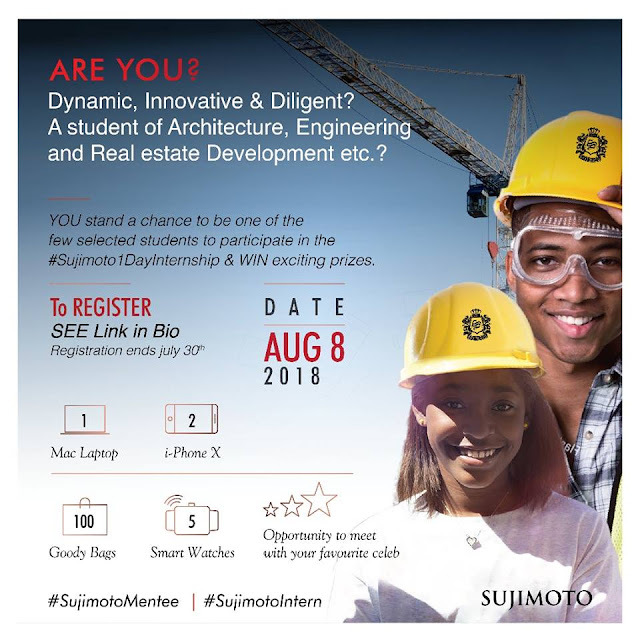 Stand a chance to be part of the lucky few to be mentored by our MD at the Sujimoto 1-Day Internship Programme. Event Date: August 8th, 2018.